Most of us would not be successful without the help of the people in our network. My verse to “Again” was written at a time of personal tragedy. My songwriting partner was inspired to pen an equally moving verse while coping with her own hardships. My verse was about water. Her verse was about stones. We wrote in separate towns in different parts of the city, no discussion on themes. 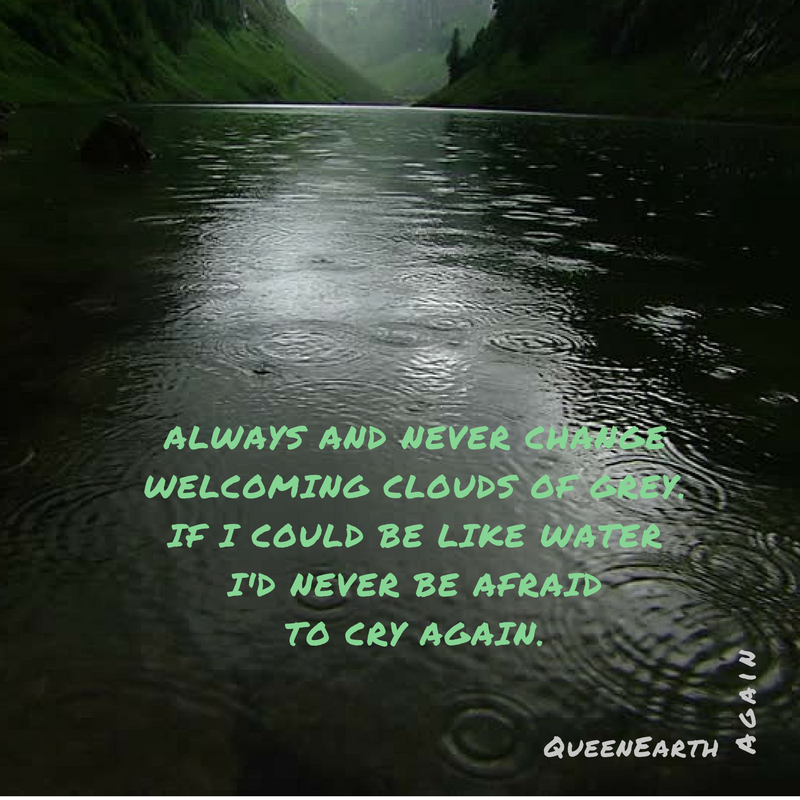 Queen B (QueenEarth + Janice B) crafted “Again” to release ourselves from old habits, find new ways to cope, listen to our creativity’s inner call. If we could learn to listen to our world, to ourselves, to nature, perhaps there are little lessons in every raindrop, waiting to catch us off guard, reminding us to wash it off and start over. Reminding us of our humanity. Maybe it’s okay to stay inside and fall asleep during a storm. Maybe the rest of us will dance in the downpour. Rain is a blessing. Even our tears make way for brighter days. Cry on. This recording speaks to my and our (the Stinkiface music family) collective growth as writers, performers, producers, and musicians. in the song, that’s my mouth making the bass tones and drum kicks. Heartbeats. This was an unforgettable creation, from start to finish. I am thankful for my friend Janice B. We came together to learn music and share a stage. We ended up creating one of my favorite songs to date. This entry was posted in QueenEarth and tagged Baltimore, baltimore lesbian singers, black lesbian guitarists, Janice B, michfest singers, queen b baltimore, QueenEarth, queer music, queer speakers. Bookmark the permalink.